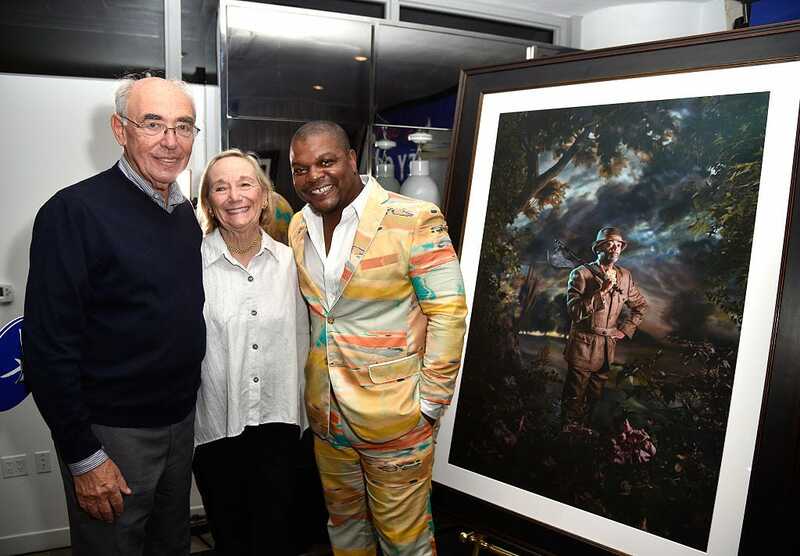 For artist Kehinde Wiley, being commissioned to paint former President Barack Obama’s official portrait was an opportunity to make a lasting impact on people around the world. “The reality of Barack Obama being the president of the United States – quite possibly the most powerful nation in the world – means that the image of power is completely new for an entire generation of not only black American kids, but every population group in this nation,” Wiley told BBC in 2008. 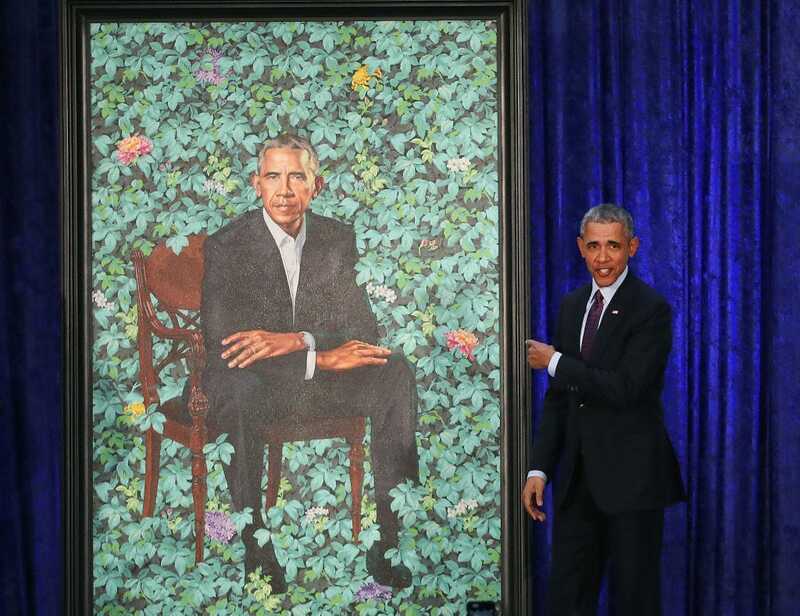 His incredible portrait of the former president, unveiled in Washington, DC on Monday, will hang alongside other presidential paintings in the National Portrait Gallery. He and Amy Sherald, who painted a portrait of former first lady Michelle Obama, are the first African-Americans in history to be commissioned to paint a presidential couple. Wiley’s dramatic portrait of Obama sitting in a colourful green garden is in keeping with the artist’s long tradition of presenting everyday black figures in elevated, empowering positions. Mark Wilson/Getty ImagesObama with Wiley’s portrait of him. 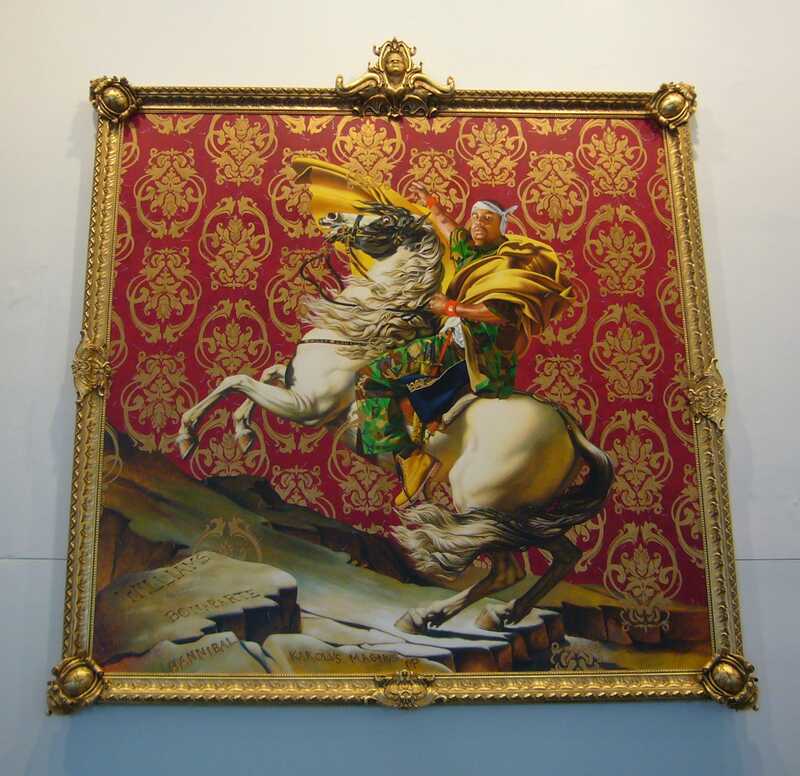 A common theme throughout Wiley’s work, which he started to pursue as a boy in his native Los Angeles, has been portraying young African and African-American men in poses traditionally reserved for European nobility. Many of his paintings draw on French Rococo, Baroque, and other royal portraiture styles. Michael Bowles/Getty ImagesOne of Wiley’s pieces. 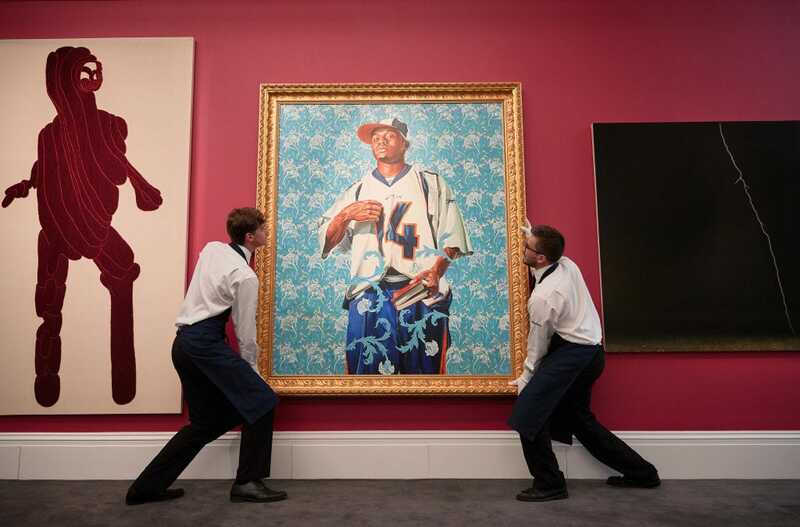 Wily often recreates paintings by the European Old Masters, but replaces the central figures with young black men. Wiley’s most famous painting is “Napoleon Leading the Army Over the Alps,” which directly references one of the most famous portraits of Napoleon. 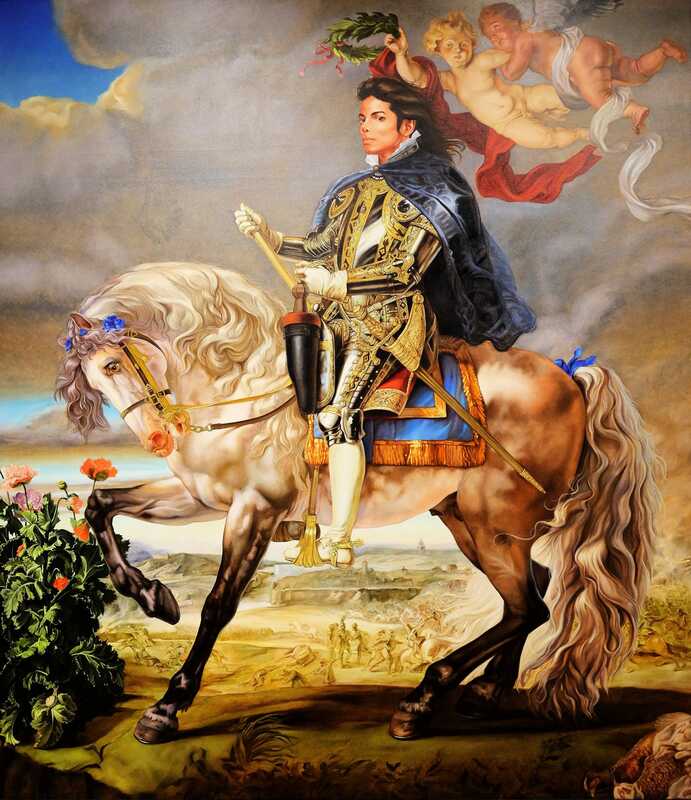 In his version, a black man wearing Timberland boots replaces the French emperor. Wiley is known travel the world to gain inspiration for his work and to find subjects to paint. Among his many stops, he has visited Morocco, Brazil, China, India, and Haiti to look for people on the street to serve as models for his work. 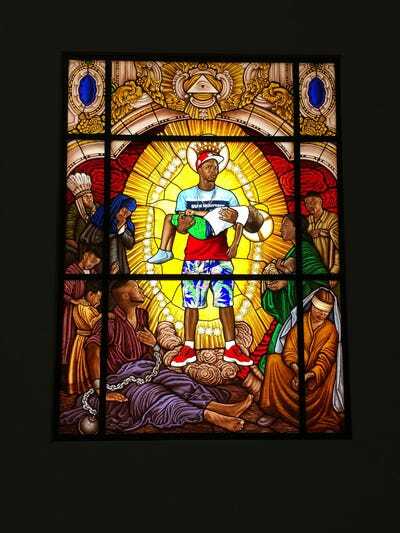 He has even dabbled in stained glass art, producing stunning images of the black experience that are chock-full of religious imagery. Kehinde Wiley via FaceMePLSA stained glass piece by Wiley. Wiley has also painted famous black musicians in the same style. Here, Michael Jackson is depicted as a divine European monarch. In other instances, Wiley focused less on the background, and more on the musician in question. Here, LL Cool J is shown sitting in dignified repose. Even before his commission to paint Obama, Wiley was a name to reckoned with in the modern art world. But with his newfound fame as a presidential portrait artist, Wiley’s star will only continue to rise.